Seven small dogs — all with legs shorter than an adult's hand — mauled an Oklahoma woman to death while she was outside of her home last week. Tracy Garcia, 52, of Ardmore, was attacked by her neighbor's dogs on Thursday and died from her injuries, KTEN reported. One of the seven dogs was shot after charging at a deputy who was responding to the attack, KXII reported. The other six dogs were taken to Westwood Veterinary Hospital, where they were euthanized at the owners request. Shelter co-director Tena Layton told The Daily Ardmoreite that six of the dogs were about one year old, and the seventh one — about three years old — was possibly the pack's mother. I’ll show this to my “dangerous breed” and tell him he’s got some catching up to do. Wow. I guess seven is enough to stop you from running away! She had them on leashes that included bits in their mouths. I asked her what they were and she replied too quick for me to catch the name and said she couldn't stop and talk because she was training the dogs. Someone feed their little dogs some PCP. A dog small enough to crush under your foot killed a lady.. she much have been really out of shape. Maybe her legs didn't work? There were seven dogs. A whole pack of them. 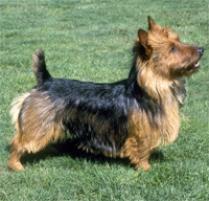 Some terrier mix.